If you’re concerned about germs or other risks associated with rescue breathing, we recommend reading, Rescue Breathing vs Chest Compressions, which outlines the importance of chest compressions to keep blood circulating to the brain. When it comes to bystander CPR and cardiac arrest, chest compressions are so important. Without them, the victim’s brain is deprived of blood, and brain death begins to happen within a matter of just a couple of minutes. 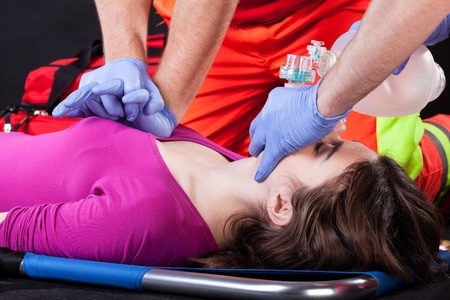 Here are important things to know about the chest, the ribs, and the very powerful reality that performing adhering to American Heart Association (AHA) standards for chest compressions is worth every potential risk when it comes to saving a life via CPR. When performing chest compressions, the base of the palms actually press on the base of the sternum – the thick plate of bone that protects the heart, the trachea and esophagus, and the upper portion of the lungs. This bone contains connective tissue – and is attached via strong connective tissue to the upper-ribs. When applying the substantially deep compressions of 2- to 2.4-inches, recommended for CPR, these bones move together and separately. The connective tissue that binds them together may pop or crack as a result. This connective tissue – mostly cartilage – may even break away a bit from the bone – and this will create even louder or more tangible pops and cracks. In the midst of this, the heart continues pumping vital blood to the brain, allowing the organs to function. If the compressions stop, so too does this life-saving blood supply, resulting in the rapid die off of brain cells if the arrival of EMTs is not imminent. Sometimes, ribs do fracture or break. Unfortunately, ribs can fracture as the result of CPR chest compressions. While it isn’t the case all of the time, it can happen. 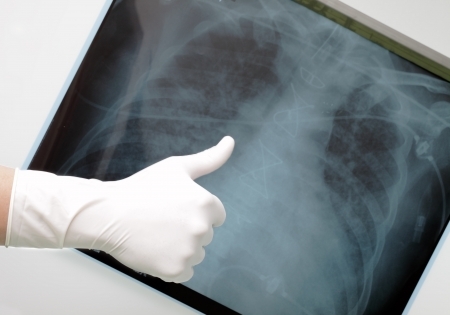 According to the statistics, about 30% of those who survive CPR wake up with a cracked sternum and/or broken rib. The key words there are, “wake up.” The reality is that cracked bones are a minimal injury that completely heal within a few weeks. That’s a small price to pay when compared with the loss of life, and that’s why CPR instructors and those who’ve performed CPR can attest to the fact that it’s always worth it to continue performing CPR, even if you’re sure you’ve cracked the victim’s sternum or ribs. So, what do you do if you hear or feel a bone cracking underneath your hands during CPR compressions? You keep going. If the scenario is overwhelming for you, you’re tired or you feel you can’t go on – feel free to call out to other bystanders, asking if anyone else knows CPR who can give you a break. Hopefully, another bystander can take over until you’re rested or until emergency responders arrive. Can’t I be sued for breaking ribs during CPR? Second to the fear of breaking someone’s ribs is the fear of getting sued or somehow penalized for doing a good deed. Fortunately, all 50 states have implemented versions of a Good Samaritan Law, protecting those who unintentionally do harm while providing assistance in good faith. In good faith, renders emergency care or assistance, without compensation, to any ill or injured person at the scene of an accident, fire, or any life – threatening emergency, or en route therefrom to any hospital, medical clinic or doctor’s office, shall not be liable for any civil damages for acts or omissions resulting from the rendering of such care or assistance. It’s incredibly unlikely you would be sued f0r successfully using CPR in order to save a life – regardless of the outcome. It’s more likely the victim will be eternally grateful for your actions. Contact us if you’d like to learn more about our CPR Classes in Richmond, VA or our CPR classes in Raleigh, NC.